"Triggering" Your Body To Generate Trillions Of Healthy New Cells! Dr. Linda Page, N.D., Ph.D.
"I believe Marine Phytoplankton is one of God's greatest gifts to us. Originating in the Ocean, the birthplace and primary nourisher of life on Earth, marine phytoplankton offer us amazing health benefits. They are the most nutrition-dense plants on the planet. Ounce for ounce, along with herbs, they are higher in vitamins and minerals than any other food!" "The future of nutrition is found in the ocean. The sea, the great unifier, is man's only hope. Now, as never before, the old phrase has a literal meaning: We are all in the same boat." "In the five years I have been personally using and referring Oceans Alive professionally to my colleagues, I have seen a steady flow of positive results and am very impressed with the levels of mental clarity, calmness and energy everyone enjoys." RE: The Most Perfect Food On Planet Earth? You may have heard of chlorella, spirulina and blue-green algae. These well known algae from lakes and ponds have been sold as supplements since the 1970's. These super foods also improve circulation, balance cholesterol and blood pressure. They're known to sharpen your memory and vision as well. These super foods seem able to "do it all". It is the most powerful and essential food on Earth. It's at the very bottom of the food chain. And it feeds over 99% of all Ocean life and supports 100% of all life on the planet (directly and indirectly). If marine phytoplankton ceased to exist... life on Earth would die off like dominos falling, one after another. Now compare that to chlorella and spirulina. 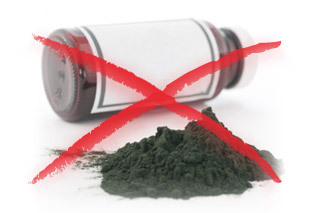 Did you know that no animals actually feed on chlorella and spirulina? Marine phytoplankton has fed life as we know it since the beginning of time! Now -- imagine how you would react when you put just one dose (a total of 170 billion cells in a single dropper) of this superfood into your body. It would be like a life-activating jolt to your system, forcing every part of you to tune in and turn up. I'm talking about your brain, your heart and circulation, your lungs, your immune system, your digestive system... everything down to the cellular level. • Arginine • Germanium • Methionine • S.O.D. • Cobalt • Lecithin • Phosphorous • And More! Plus, it's all freshly made. You can't get any closer to the original life source than this. This is where it all begins! 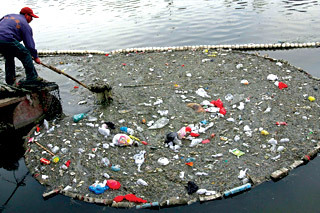 This is what feeds over 99% of life in the ocean! This is what nourishes life on this planet! And that's why marine phytoplankton is the ultimate life-giving food in the world. Product Review - Janice S.
The medical practice I run with my husband has us maxed out four days a week. At 65 years old, I am pushing harder now than I did at fifty. I have been taking Oceans Alive almost every day for over three years. When I miss taking my Oceans Alive I feel my energy run out earlier in the day. I admit I need it to keep this pace and I sleep better. The exact nutrients for your body to produce glutathione, The "Master Antioxidant"
You feel stronger, longer... more resistant to health threats thrown your way. You even start to notice yourself managing your weight better! But what exactly makes marine phytoplankton so much better than chlorella, spirulina and all other "super foods" combined? There are several reasons why these "super foods" can't compare to marine phytoplankton. #1As I mentioned already... marine phytoplankton is a food source. Ocean life consumes this micro-algae to nourish themselves. Compare this to chlorella and spirulina. Animals don't eat it. We don't know why, but if animals don't eat it, why would you? #2Chlorella has a tough, nearly impenetrable cell wall that traps its nutrients inside. Even if your digestive system was working perfectly... it would have a hard time breaking it down. 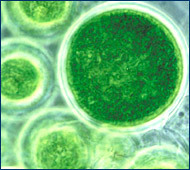 The right type of marine phytoplankton has a cell wall that is instantly digestible . That means it is absorbable and bioavailable at a cellular level. In fact -- some marine phytoplankton cells are 2 microns in diameter. That's 4 times smaller than a red blood cell! All the crucial amino and essential fatty acids (nano-sized) are able to pass through the blood-brain barrier and nourish your brain directly! It is essentially hundreds of times more bioavailable than any other algae (or any other food source) on earth! That's like instantly "infusing" your body with more than 100 nutrients simultaneously! #3Marine phytoplankton is packed with more nutrients and is much more bioavailable than all superfoods combined. You'll feel more natural energy throughout the day (not some artificial high). You'd experience a sharper mind. And because every part of your body is balanced properly and getting the nutrients it desperately needs... you'd feel less stress, you'd sleep better at night and you'd wake up fresh and ready. You would look younger, feel younger and you'd be able stand up to any health threat that comes your way. It would be like you reversed the aging process by 10, 20 years. That's what fresh, raw, unprocessed marine phytoplankton would do for you. 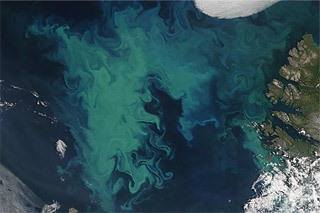 Marine phytoplankton grows in oceans all around the Earth at different places at different times of the year. And because it's microscopic, you would have to harvest billions of gallons of Ocean water in order to get a worthwhile amount of marine phytoplankton. Following an extensive study, it was concluded only ONE type of marine phytoplankton truly mirrors the human nutritional profile. Over the last century, the oceans have been polluted with heavy metals, chemical solvents and all kinds of environmental contaminants. A scoop of ocean water is basically a soup of toxic waste. You'd have to use precise, scientific equipment to filter out all that junk! And that is logically impossible. This prevents nutritional companies from harvesting this invaluable superfood. Finally, only a few scientists know exactly how to stabilize fresh harvested marine phytoplankton, maintaining the precious life energy in each cell. If done wrong, marine phytoplankton has a very short shelf life and is easily damaged during processing. The truth is... most microalgae on the market oxidizes and becomes useless within a few weeks after they're packaged. The story begins 30 years ago! A Marine Biologist named Dr. Luis Lubian, who was involved in an extensive study of more than 43,000 types of marine phytoplankton discovered this perfect nutritional strain. The original goal of the research was to find strains of marine phytoplankton to produce a viable bio-fuel. They figured if marine phytoplankton could turn sunlight, seawater, minerals and CO2 into powerful, life-giving energy... there must be a way to use this fact to their advantage. During this study, through a stroke of serendipity... just like when Archimedes discovered water displacement... he found the most amazing strain of marine phytoplankton. The scientific name of this #1 choice of marine phytoplankton is Nannochloropsis Gaditana. And here's what's amazing about this particular type of marine phytoplankton.... after an in-depth analysis, the makeup of this type matched remarkably identical to the human nutritional profile! What this means is it had just the right amount and balance of amino acids, enzymes, fatty acids, minerals and pigments -- the building blocks our body uses to repair DNA, produce glutathione, generate growth hormones and stem cells. In other words... this one unique type of marine phytoplankton gives the body practically all the raw materials it needs to produce healthy new cells and neurochemicals! My name is Ian Clark. I'm not a doctor or scientist. I'm just someone who started "connecting the dots" after I got severely ill, overweight and sick 8 years ago. At that time, someone introduced me to powdered versions of micro algaes including one from Marine Phytoplankton. I knew the only one I was interested in was the Marine Phytoplankton after trying all the different types. I noticed that it started to change my health, my perspective and life. But I knew it could be better. I knew an original, raw, unprocessed marine phytoplankton would be a hundred times better than processed powdered versions. That's when I seriously started doing research on harvesting, producing and storing it. The first challenge I faced was the production. I knew I was not interested in doing what everyone else does; growing micro-algae in an "open pond environment". In other words, I didn't want air pollution or environmental contaminants mixing with the seawater where the marine phytoplankton grew. At the perfect time, I connected with some European Engineers, who had built a complex photo-bioreactor. A photo-bioreactor is a sealed growing environment, with the perfect ingredients. Ultra pure ocean water, pure CO2 and natural sunlight providing the exact conditions to grow marine phytoplankton at its best. In other words, you are creating a "closed off" mini-ocean, but without the pollution, waste, toxicity, heavy metals and bacteria of the real one! The other major advantage to this is you decide exactly which type of marine phytoplankton you want inside the reactor. That way, it avoids being mixed with any other type of micro-algae. Giving your body all the building blocks it needs to create protein, new healthy cells and neurochemicals for the brain. Not to mention... cell membranes that are instantly digestible, which makes the nutrient extremely bioavailable. We use a scientifically proven 'natural method' of stabilization. This does not require any heat, cold, extraction, freeze drying, or any processing at all. We simply add the fresh harvested marine phytoplankton to a pure 'sea mineral derived' concentrated ionic trace solution that instantly stabilizes each cell in its perfect condition with the life energy freshness waiting to be consumed. This provides an added bonus, as the trace ionic mineral solution has multiple health benefits in and of itself such as... greater oxygen delivery to your cells, healthy blood pH balance and regulates nerve impulses with magnesium chloride hexahydrate. Since 2007, thousands of people internationally have discovered the powerful health benefits of Oceans Alive. The results people get continue to astound me every day. People write back with the most amazing results. This is truly the Superfood of the Future. And up until we came along, it was impossible to get Marine Phytoplankton in its pure, raw, unprocessed form. What was available before it and what's out there today simply pales in comparison. It's not the right strain, it's not harvested right, it's not stored right. It was only with years of care, dedication, millions of dollars invested in research... and strict attention to the tiniest details... from production to harvesting to storage... that we are able to bring you this perfect food in its original state -- in its raw, pure, fresh state. All it takes is just one "squirt" a day. You can add it to juice, water or my personal favorite, young coconut water. You will activate your entire body from the tip of your toes to the top of your head... every major system -- cardiovascular, digestive, immunity -- and nourish it with the complete spectrum of nutrients... straight from the food source made for Mother Earth to feed life itself. Now, I'll be frank, I'm not the only one who knows how powerful marine phytoplankton is. There are other companies out there trying to sell marine phytoplankton products. However, they are just resellers of cheap imitations, not producers as we are, nor do they have the same stringent commitment to quality as we do. 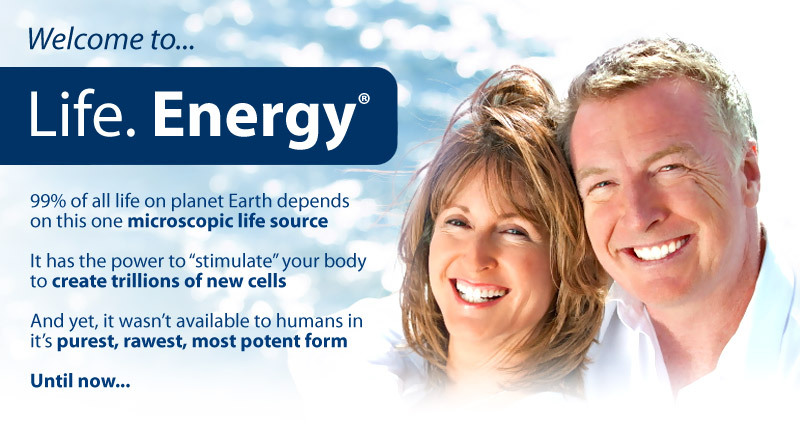 Product Review - Cherie L.
I have several medical conditions that have developed over the last 12 years including a neurological disease where my eyes close involuntarily and extreme fatique zaps all my energy. I recently started using Oceans Alive twice a day and it is one of the only things that has helped me. I make sure I have it with me at all times and it keeps me going so I can live a fairly normal life for the first time in years. Most companies are growing various uncontrolled strains of micro algae in open tanks, ponds and lakes. 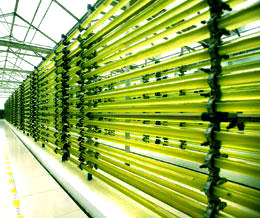 Cheap microalgae that grows fast and is ready to harvest in a few days lacks the beneficial nutrients. If that is not bad enough, they are then processed in the cheapest, fastest way possible to cut costs. Quality is the last thing on their list of priorities. Further to this, the way it is poorly packaged in capsules, tablets or powder allows for rancidity and oxidation, destroying the active nutrients before it even hits the store shelves. We take every step, from harvest, to stabilization, to packaging... with utmost scientific care... so you enjoy the full impact of life energy in the marine phytoplankton. We absolutely do not make any compromises. This results in a Marine Phytoplankton beyond comparison. You'll have 60 days to put Oceans Alive to the test. This is how strongly I believe in it. After taking a daily dosage of Oceans Alive for a full 60 days, I promise you... your life will have transformed for the better. In rare cases, you may start to feel the changes as early as seven days. I have hundreds of testimonials on my desk from people who have experienced this. They are so outlandish I cannot print them! What you see on this page are the more conservative ones! Product Review - Ann V.
Some mornings I would miss taking Oceans Alive and end up pretty exhausted in the afternoon. When I would get back home I would have a shot and my energy was back in a few minutes! Now I keep it with me and take a shot if I feel tired and it makes quite a difference. Note: Individuals with more fragile health conditions will want to start out with only 1 drop per day and ramp up to 15 drops per day over the first 2 week period, or as their body adapts to this level of intense nutrition. 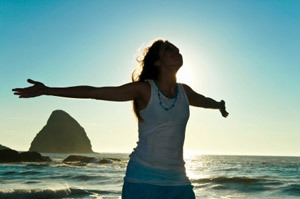 You will feel more energy surging through your body. You will notice a deep sense of contentment. You will get much deeper, restful sleep. You won't get tired as easily. Your senses will heighten. Your memory will improve. You'll experience more power, strength and stamina. It will be like you've turned the aging-process around by 180 degrees. I want you to send back any unused portion and we'll refund every penny you spent on Oceans Alive for the last 60 days (less shipping). I can't make this any easier and more risk-free for you. You have absolutely everything to gain here. In fact, you will only experience the power of eating Mother Nature's original life-source. Get your supply of Oceans Alive marine phytoplankton now! Yes, Ian! I want to experience the power of Oceans Alive Marine Phytoplankton and improve my health every day going forward starting now! This is an Auto-Ship Subscription. 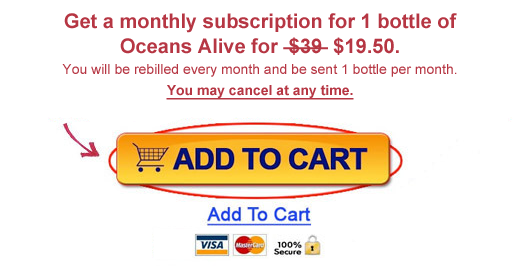 You will receive 1 bottle of Oceans Alive from us every month. You may cancel at any time. Legal Disclaimer: The entire contents of this website are based upon research conducted by the author, unless otherwise noted. The publisher and the author present this information for educational purposes only. This information is not intended to diagnose or prescribe for medical or psychological conditions nor to claim to prevent, treat, mitigate or cure such conditions. The author and the publisher are not making an attempt to recommend specific products as treatment of disease. In presenting this information, no attempt is being made to provide diagnosis, care, treatment or rehabilitation of individuals, or apply medical, mental health or human development principles, to provide diagnosing, treating, operating or prescribing for any human disease, pain, injury, deformity or physical condition. The information contained herein is not intended to replace a one-on-one relationship with a doctor or qualified health care professional. Therefore, the reader should be made aware that this information is not intended as medical advice, but rather a sharing of knowledge and information from the research and experience of the author. The publisher and the author encourage you to make your own health care decisions based upon your research and in partnership with a qualified health care professional. *These statements have not been evaluated by the Food and Drug Administration. The information on this website is not intended to diagnose, treat, cure or prevent any disease. Copyright - Activation Products. All Rights Reserved.